THAT L.A. 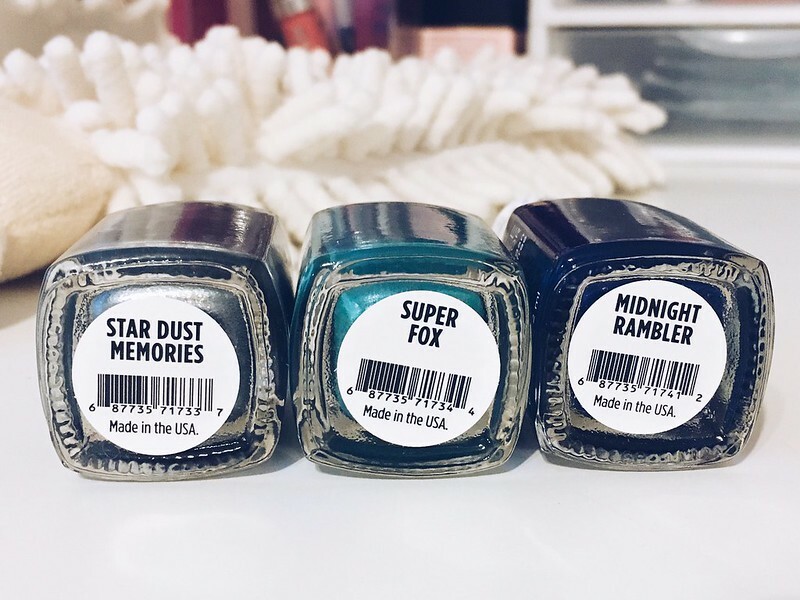 IT GIRL: PACIFICA BEAUTY NAIL POLISHES! For those of you who are curious I don't wear nail polish on my hands often, because one I feel like it always manages to come off in a couple of days, and two since I'm always in a rush I don't have the time to wait there patiently for my nails to dry. Which is why I prefer painting my toenails, but to spare you guys my feet, I decided to give Pacifica Beauty's nail polishes a try. And I got to say these lasted longer than I thought they would. First off Pacifica's packaging is always gorgeous as usual. With the white top, and the gold detail on top. The only thing I didn't like was when I opened (I think?) the second bottle, I started to cough like hysterically... Which is probably just due to the fumes... And plus you got to remember I hadn't applied any polish on my nails since I had left to go on vacation a month ago. So not sure if it was because I hadn't applied anything on my nails in a month, or maybe it was due to the polish itself. 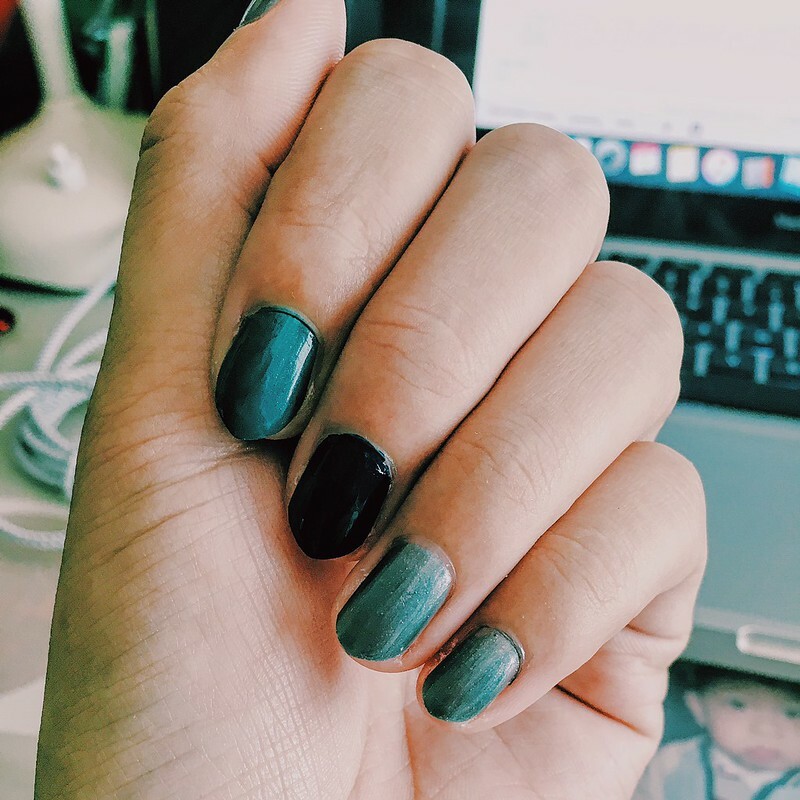 So for those of you who were wondering how long this polish lasted... Well it lasted around 2 days without a top coat, I didn't paint my thumb or my pinky nail, and the index, middle, and ring all had a matte finish top coat on top of them. So those ones lasted around 4 days, give or take (In case you were wondering why I say give or take, it's because I could have easily given those nails another day or two before I saw any real chipping). And no I don't usually wear a basecoat under the polish, because I don't paint my nails often enough to consider wearing a basecoat all of the time. Now if I did end up wearing nail polish a lot more than yes, I would use a basecoat. These retail for $9.00 on Ulta's website, so defintely affordable for those of you who like polish (By the way I like to use the RetailMeNot app on my phone to get discounts at Ulta).